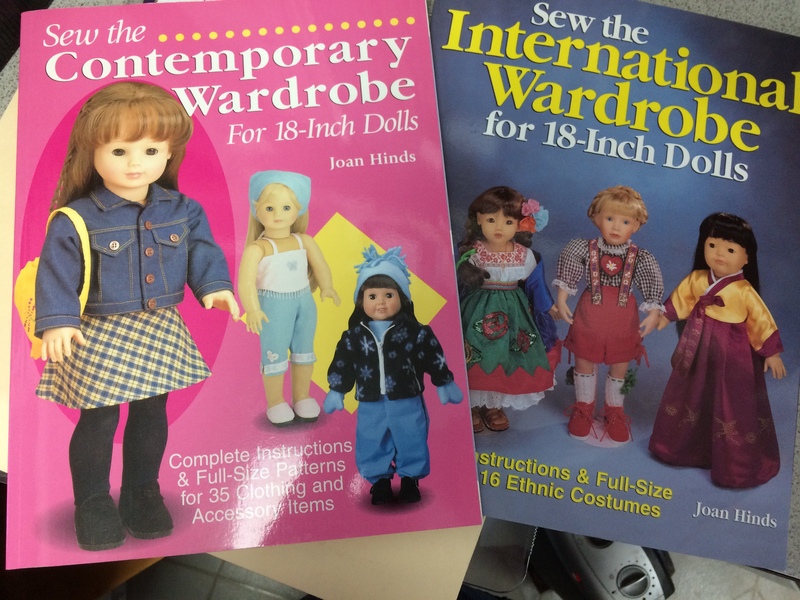 My cousin has been cleaning out items she thinks she no longer needs and has sent me several doll clothes books. Interestingly enough not a one of them has been a duplicate of what I have. Now I need to get busy and trace patterns so I can make clothes. Christmas will soon be here and I want some little girls to be happy. Today, the plan was to go to Seattle (an hour drive) to get some organic peaches. I got about 5 miles from home when the car shuddered, started shaking, and sounded horrible. So I called DH – cell phones are wonderful – and he came to my rescue. We took it to our mechanic fearing the worst. However, a spark plug had worked loose and that bill was only $70. As long as the car was there, we had the annual service done, so now I’m ready for the winter and nothing should go wrong. I do like to have the car trustworthy as there is no other service here in case of emergency. We did get the peaches while the car was being serviced. After coming home, we took my computer in for a new hard drive. The technician argued that he didn’t think it was a hard drive problem, even though the Geek squad did think so. He talked me into leaving it there for a week so they can check it out. I nearly had a heart attack over being without it for a week I have this little laptop, but if I save any messages on here, I can’t get them into the proper folders when the desktop comes back. We went to Panera’s for lunch after taking the computer in. This was the first time they really scrambled our orders. When I asked the manager if they had new help, he said several were new and offered us a free meal next time we come in. My days always seems so full and I wonder why. Maybe it’s just all these little interferences. I was able to do a bit of sewing and spinning which I find relaxing. But nothing was finished. I’ll get some photos tomorrow when I figure out how to load them on this computer. I have some really terrific sticky stuff to show you – stay tuned.